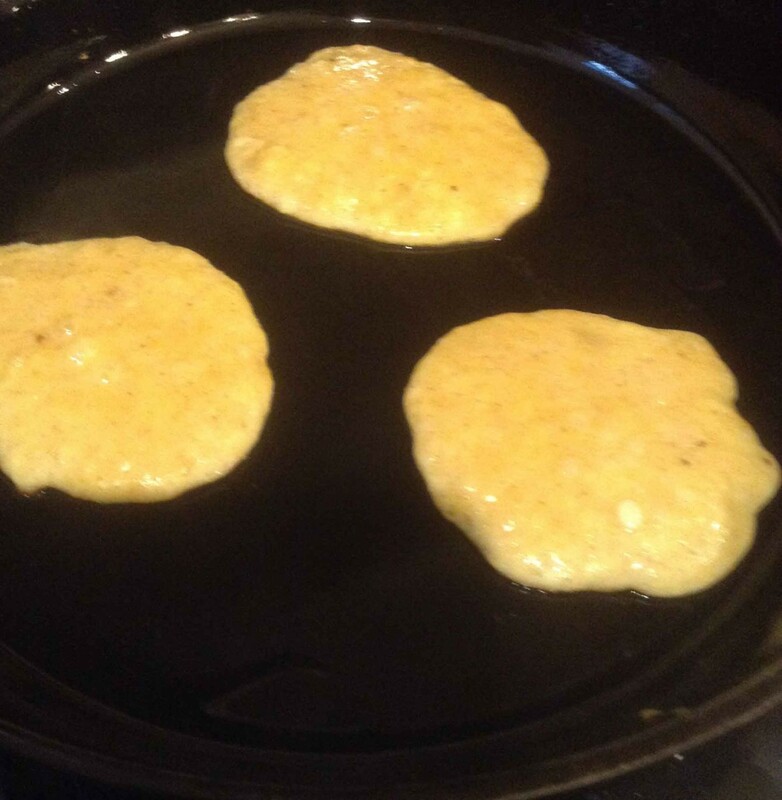 While preparing the batter have a large cast iron or other heavy skillet heating on the stove over medium heat. In a good-sized bowl mash the banana until it is completely mushed up with no lumps at all. You will find that really ripe bananas work best. Add the eggs, baking powder and cinnamon and whip with a fork until everything is well combined. You don’t want globs of baking powder or cinnamon visible. Spray the skillet with cooking spray or put in a pat of butter to melt. With a 2-Tablespoon portion scoop, pick up one scoop of the batter and put it in the pan. You should be able to get about 3 3-inch pancakes in the pan at one time. Let them cook until the bottom is lightly browned and the surface of the pancake looks puffy and somewhat dry. Using a pancake turner carefully turn the pancakes over and let them cook another minute or so. My pancakes needed to cook about 3 minutes on the first side to be done enough. Flipping them before they are done will end up with a mangled mess. They will still taste fine but look kind of junky.